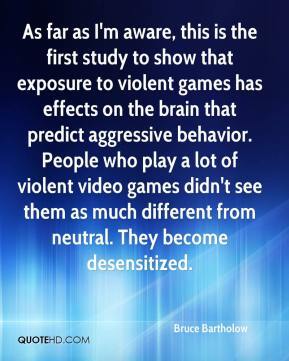 We found that stereotypes were activated in all subjects, regardless of whether they had consumed alcohol. 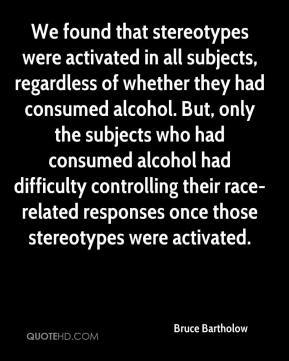 But, only the subjects who had consumed alcohol had difficulty controlling their race-related responses once those stereotypes were activated. 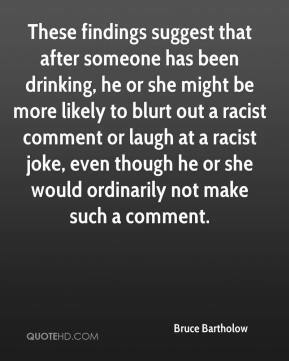 These findings suggest that after someone has been drinking, he or she might be more likely to blurt out a racist comment or laugh at a racist joke, even though he or she would ordinarily not make such a comment.